At Middle Creek Dental, we are passionate about helping you fight all of your oral health battles and come out victorious! Sometimes teeth will suffer damage or decay that leaves them in danger of structural failure. When such an event occurs, we like to protect the tooth by placing a dental crown on top of the tooth. Dental crowns are like little caps that fit over the top of your tooth, looking and acting just like a natural tooth while protecting it from damage. We are proud to offer a wide variety of dental crown restorations to our patients and want you to know that you are always in good hands when you come to Middle Creek Dental. Dental crowns are dental restorations that are made to sit on the top of a damaged tooth, to protect it from further damage. 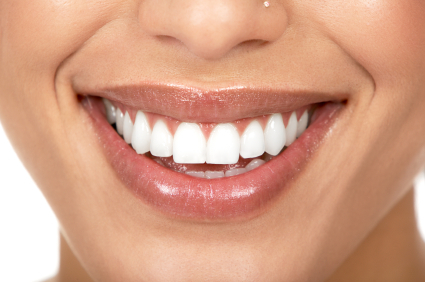 Dental crowns allow you to eat and speak as you did with your natural, healthy teeth. Crowns can be made out of a variety of different materials, depending on the tooth that is being restored. Porcelain is an extremely popular material when it comes to dental restorations because of how closely it mimics the aesthetics of real teeth. Light plays off of porcelain in much the same way it does with natural teeth, and porcelain is even better at resisting staining than natural teeth. Because of how closely it matches the aesthetic of natural teeth, porcelain is a great option for dental crowns that will be replacing teeth that are featured in your smile. Because porcelain is not the strongest of dental restoration materials, we will sometimes create a metal base and fuse porcelain to the surface of the metal, which makes a great restoration for a molar that experiences high bite forces. Ceramics like zirconia have become quite popular in dentistry over the past few decades because they offer a great mix of strength, durability, and aesthetics. Ceramics can be made to look quite similar to a real tooth, so it will be almost impossible to tell the difference between the ceramic restoration and your natural teeth. Ceramics are strong, but when we need added strength, we can fuse ceramics to a metal base to create a ceramic fused to metal crown. Gold has been used in dentistry for thousands of years because it is long lasting and extremely durable. Gold has been said to feel the most similar to a natural tooth. Many people find gold restorations to be beautiful and prefer them over other, more natural looking dental crowns. It takes two visits to our office to place a dental crown. During the first visit, we will prepare the tooth to receive the dental crown by shaving some of the enamel off of the outside of the tooth. Because enamel does not grow back, this is a permanent procedure. We will then place a temporary crown over your tooth to allow you to eat and speak as you normally would while you wait for the permanent dental crown to be fabricated. On your second visit to our office, we will remove the temporary dental crown and place the permanent one with a special dental adhesive. We will make sure that the crown fits into your bite properly and that will complete your dental crown placement procedure. Call us today at (208) 505-9975 to schedule your appointment.